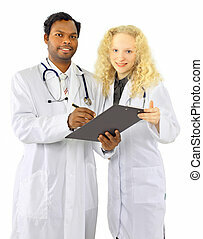 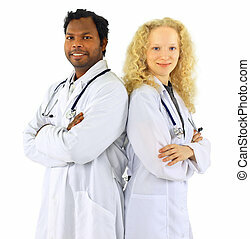 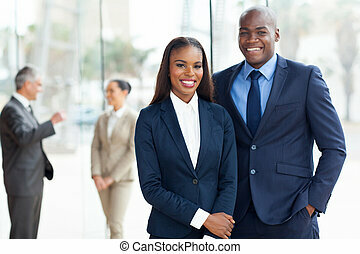 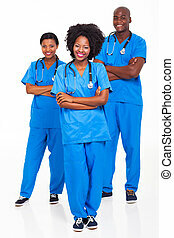 Young african american medical workers. 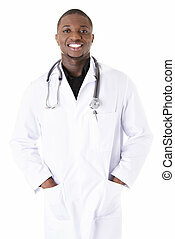 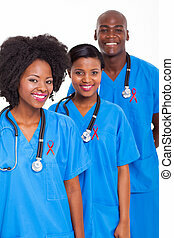 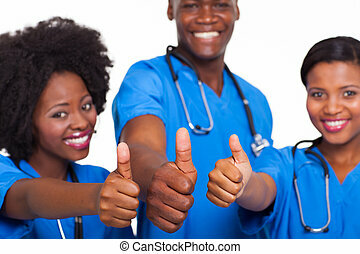 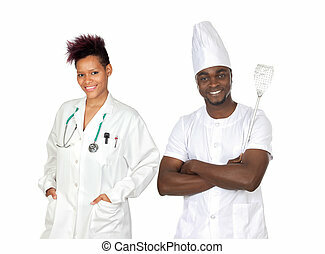 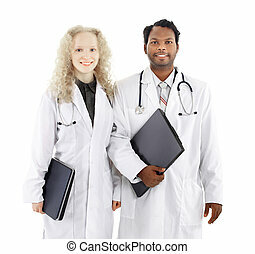 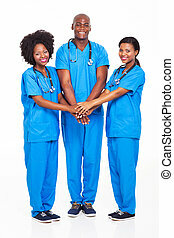 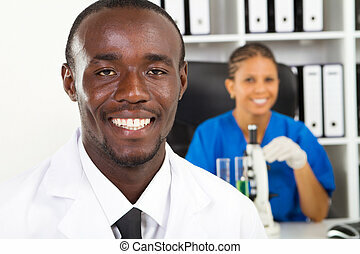 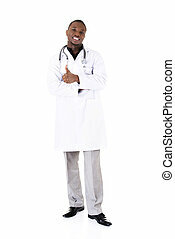 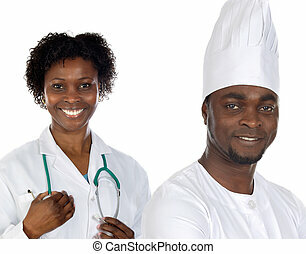 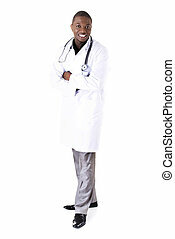 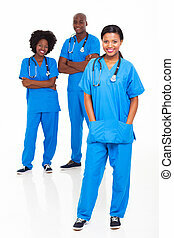 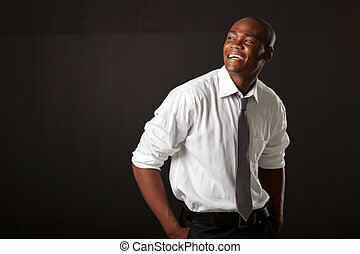 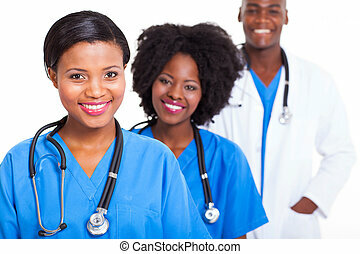 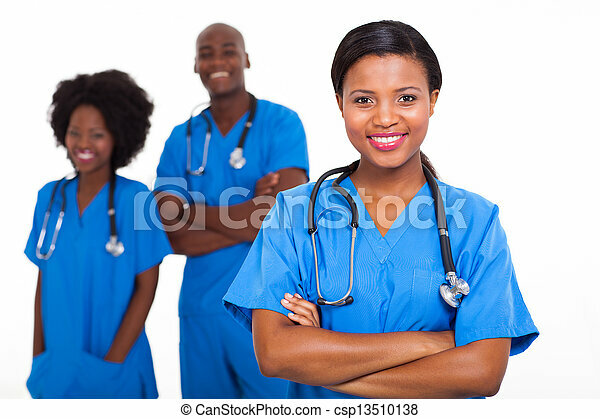 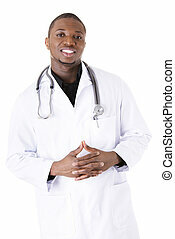 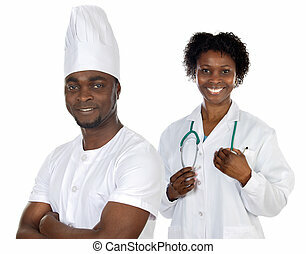 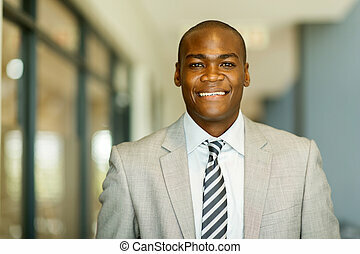 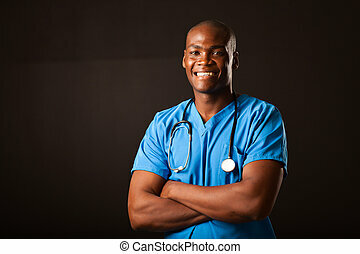 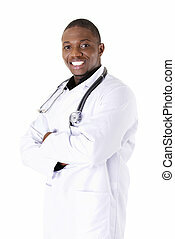 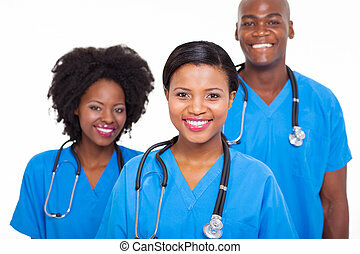 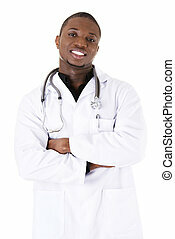 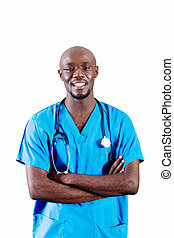 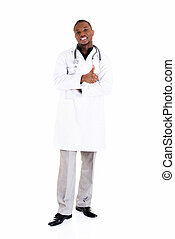 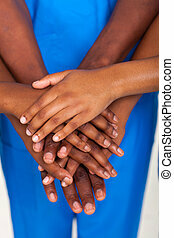 Group of african american medical workers on white background. 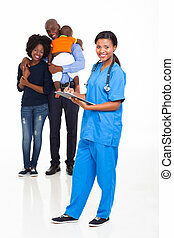 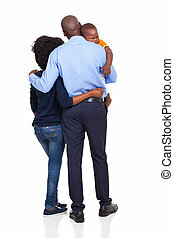 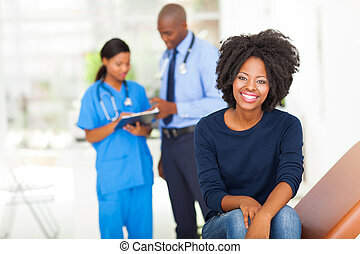 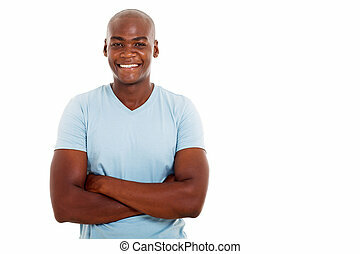 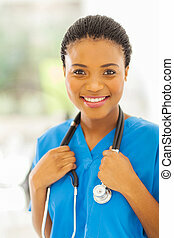 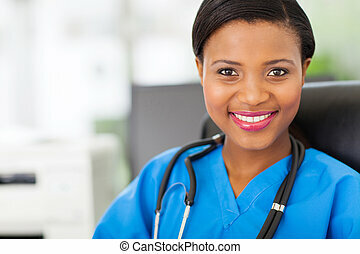 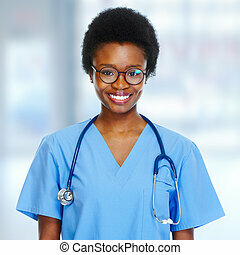 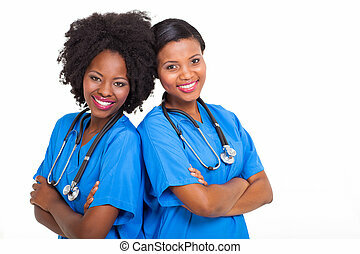 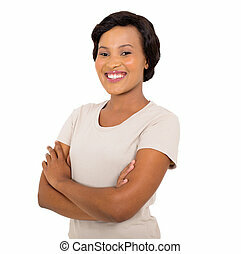 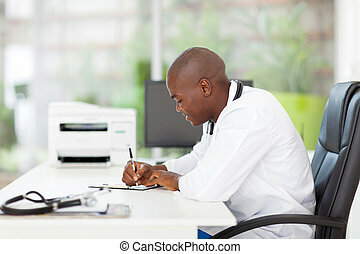 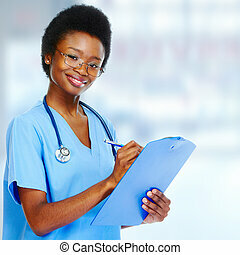 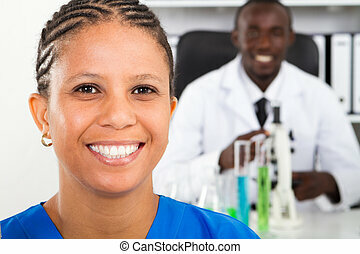 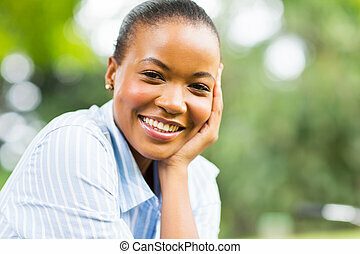 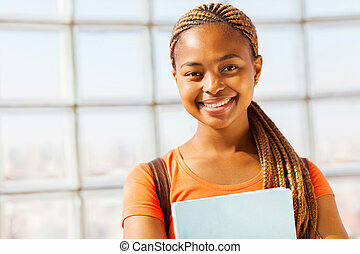 Young African-American nurse woman in medical clinic.